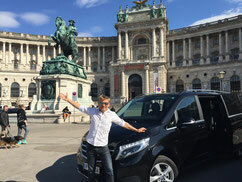 By our private Minivan / Limousine we will travel along the Vienna Ring Boulevard. 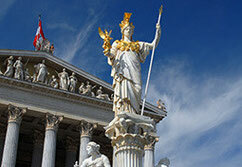 We will get to see the Vienna State Opera, Imperial Palace, Museums of Fine Arts and Natural History, Parliament, the Burg Theatre (National Theatre), City Hall, the University, the Votive Church and the stock exchange. At the hero square we will have a very close look to the balcony, where Hitler spoke in 1938. Your guide will explain you all details! 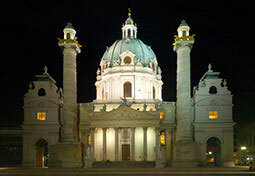 Naturally we will also show you the Prater with the Riesenrad (giant Ferris Wheel), the beautiful blue Danube and the old Danube, the City Park and famous Johann Strauß monument, and the Karlsplatz with its music society and Charles’s Church. We will also see Belvedere Palace. The palaces with their extensive gardens are considered to be one of the world’s finest Baroque landmarks. From the upper side of Belvedere Palace you can enjoy a splendid view over the entire old city of Vienna. 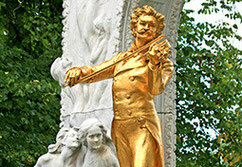 We will walk through the Belvedere park and your guide will explain you the stories and anecdotes "behind the walls"! All that in a top class Minivan/Limousine , with all the luxury service you expect! 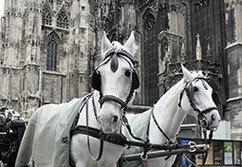 Your personal tour guide is always around and my maximum flexibility makes this unique tour to an unforgettable trip.